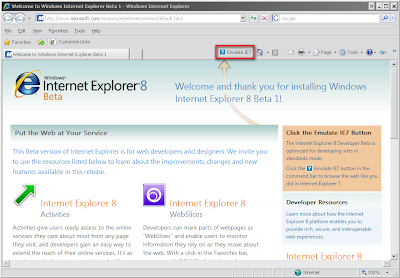 So, the IE8 beta is released today (from here). I downloaded it (begrudgingly let it over-write my IE7 install) and rebooted. 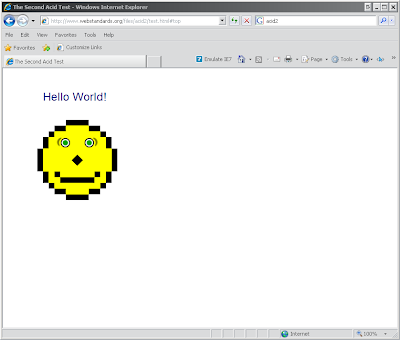 The interface is like the spawn of IE6 and IE7. 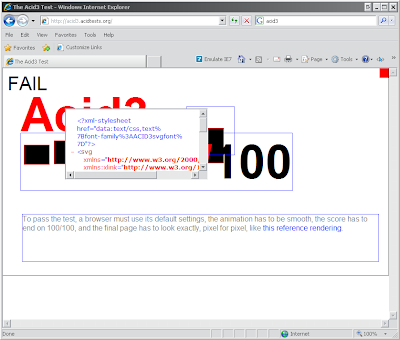 Surprisingly (and I don't expect this to survive the beta) they have added a "Emulate IE7" button. My only grief with it is that you need to restart IE completely before it will take effect. Fail. Now, to be fair, Firefox 3 doesn't render it completely either, but it does get up to 60/100 on my install, and you can actually tell it is a bar gradient, etc.